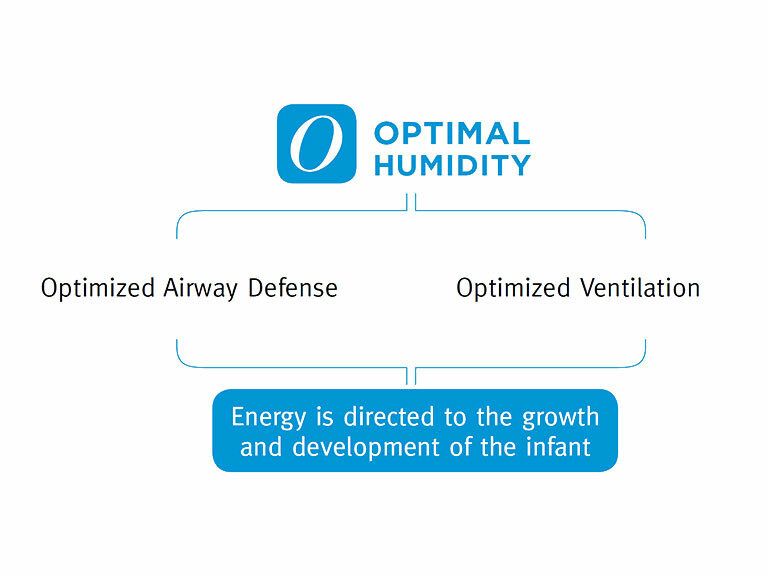 The delivery of Optimal Humidity to an intubated infant is crucial for growth and development. In mimicking the natural physiological conditioning of the airways with Optimal Humidity, this helps with the mucociliary clearance that is compromised by an endotracheal or tracheostomy tube. When invasive ventilation is supported with Optimal Humidity the risks of intubation are reduced, and growth and development supported. 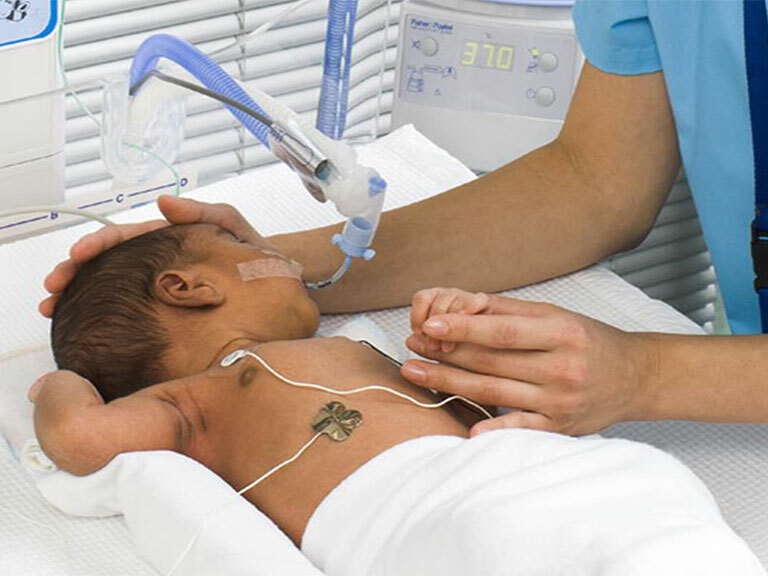 When Optimal Humidity is used during Invasive Ventilation, gases are conditioned to body temperature, 37 °C, and fully saturated with 44 mg/L of water vapor. This is the level at which mucociliary function is preserved. If the airway mucosa is exposed to humidity levels below Optimal Humidity, dysfunction will occur.